.“Adoption Adventure: A Guide to Making Adoption Decisions” is a book full of adoption information. It covers every aspect of adoption that you could ask for. Information on infant adoptions, special needs adoptions and international adoptions is included. The author covers the types of parents allowed to adopt, including couples, singles (male and female) and even LGBTQ families. The countries with children available for adoption are listed and costs are outlined. The newest category of Secondary Adoptions are touched on. 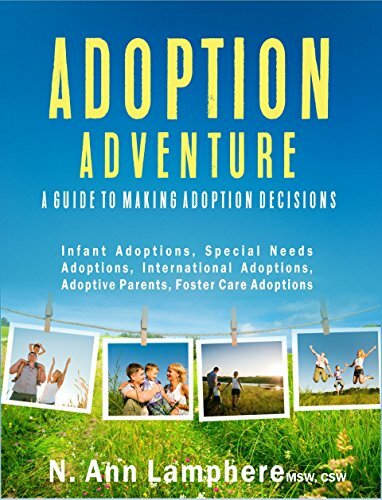 Adoption Adventure: A Guide to Making Adoption Decisions is a short read, but it is solidly packed with every adoption category anyone could ask for. If you’re looking to adopt in the next six months, this book is for you. Adoption terminology is included and will give the reader a chance to begin to understand the language of adoption. The immense amount of paperwork is outlined and explained concisely. There is a lot to absorb in this little book, but once you’ve had a chance to read it, you will be prepared for the greatest experience of your life; your Adoption Adventure.